This July Xiaomi launched a connected wristband, which was manufactured by Huami Technology (our translation). Being sold on Xiaomi’s online store and their official store on Alibaba’s Tmall, the wristband achieved a million shipments four months after launch, and claims it has the largest market share in its category. Founded in 2013, Huami received funding from Xiaomi and Shunwei, the venture capital fund co-founded by Xiaomi CEO, before the wristband was launched, and yesterday announced US$35 million in Series B funding, led by Banyan Capital, along with Sequoia China, Morningside Ventures and Shunwei. 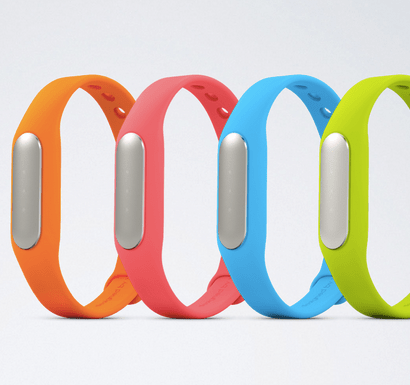 Huami wristband is as ambitious as Xiaomi, saying they’ll expand to European and American markets soon. It has recently hired a designer who used to work for Nest and set up an office in the U.S.
Xiaomi claims the company was valued at over US$300 million this round. That a company with just an imitation wristband has such a high valuation less than half six months after launch is rarely seen. Obviously it has a lot to do with Xiaomi’s backing. Earlier in October, Lei Jun, co-founder and CEO of Xiaomi, said they planned to duplicate Xiaomi’s business model and develop a hundred more Xiaomis in various hardware sectors. Huami is a typical example. So what is Xiaomi’s business model? (It’s not the Apple of China). Producing connected devices, selling them at low margins, ensuring user stickiness with its software platform (or MIUI, a customized Android system) even if they switch to new devices, and sourcing revenue via the software platform through paid content and services, advertising, and other online monetization approaches. Xiaomi has self-designed four smartphones, a tablet, a smart TV, Wi-Fi routers, a Pressy-like Android button, and a Wi-Fi dongle. But the company cannot self-design and produce every connected device on the market, especially when smart gadgets are popping up everywhere. Thus, this is where Xiaomi’s 100-hardware-companies plan comes in: investing in third-party startups and helping sell their products on its online stores. Of course those products have to be compatible with and able to talk to other hardware products in the Xiaomi family. But it’s unlikely that every single product Xiaomi chooses will sell well. So far Xiaomi’s smart TV hasn’t sold that well. Talk is that the company have invited venture capital firms to look at smart gadget startups they should be interested in across China. More funding for startups like Huami at least helps them move faster than their peers in getting products to market. Also, to some extent, it reduces risks for venture money pledged by Xiaomi and Shunwei. Xiaomi says it has had more than 20 companies on board. 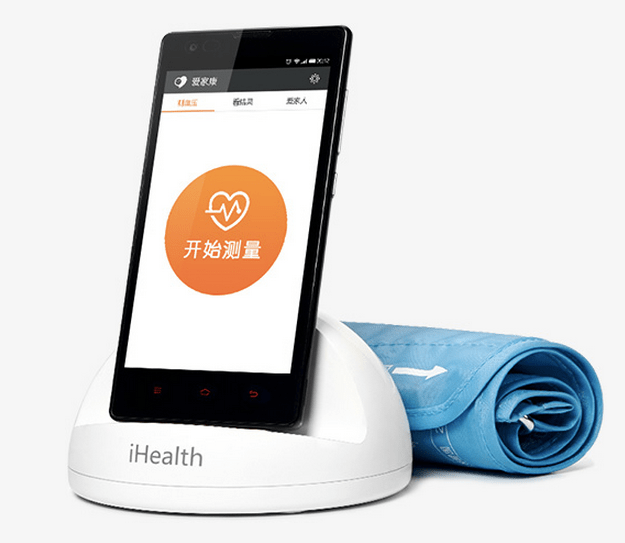 A couple of months ago it announced the acquisition of a 20% stake in iHealth, the connected healthcare device maker with offices in China and the U.S. iHealth has become known as the healthcare device brand on Apple’s online store. The iHealth portable blood pressure monitor, customized for Xiaomi’s Android system, is available on the Xiaomi online store. Similar collaborations on the Xiaomi store include Ants, a Dropcam-like video monitoring camera, Yeelight, a WiFi-enabled smart LED light bulb by Yeelink, a smart socket by Chuangmi Technology (our translation), a portable charger by Zimi Technology (our translation), and earbuds by 1more Design, amongst others. The charger, one of the first introduced from a third party, has shipped 10 million units in the year since launch, according to Xiaomi. There’s also a Square-like gadget for mobile payments by Lakala, the digital payment company Xiaomi CEO Lei Jun invested in about a decade ago. More recently Xiaomi invested in Misfit, maker of the Misfit Shine activity tracker which found China its top market earlier this year. So far, Xiaomi has chosen only one company in each category to take it under its wings, reaching out to many in each area before deciding who to partner with. Some companies that didn’t make deals with Xiaomi, such as ORVIBO, a Chinese smart home gadget maker, said its terms were not friendly. Commenting on why they chose not to partner with Xiaomi, Wang Xionghui, ORVIBO CEO, gave three reasons in an interview with Digi Channel of QQ.com: (1) Xiaomi requires a partner to make one or two best-selling products (no less than one million shipments in a year) every year and sell them at cost, (2) a partner must sell a considerable stake to Xiaomi, and (3) only the Xiaomi logo, and not the partner’s, can be shown on products chosen by Xiaomi. It seems however that the third issue is not always true, as the logos of some companies, such as iHealth and Ant camera, are on their items sold on the Xiaomi store. The first two issues are key aspects of Xiaomi’s strategy. But for a third party like ORVIBO, the concerns are (1) even if sales are in the millions, the third party can’t make a profit since products are sold at cost, (2) Xiaomi will gain users through gadget sales and have them stay on Xiaomi’s software platform, but other products by the third party cannot retain this user base, and (3) the investee must serve the needs of Xiaomi if the latter owns a considerable stake in it.